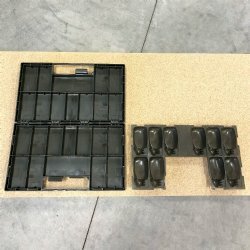 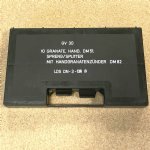 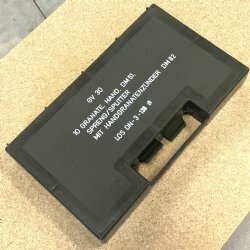 Indestructible German army spare parts boxes. 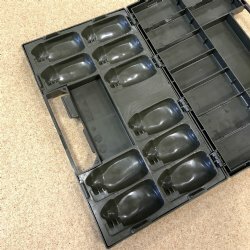 These are hand grenade cases designed to keep contents safe and secure during the roughest military operations. 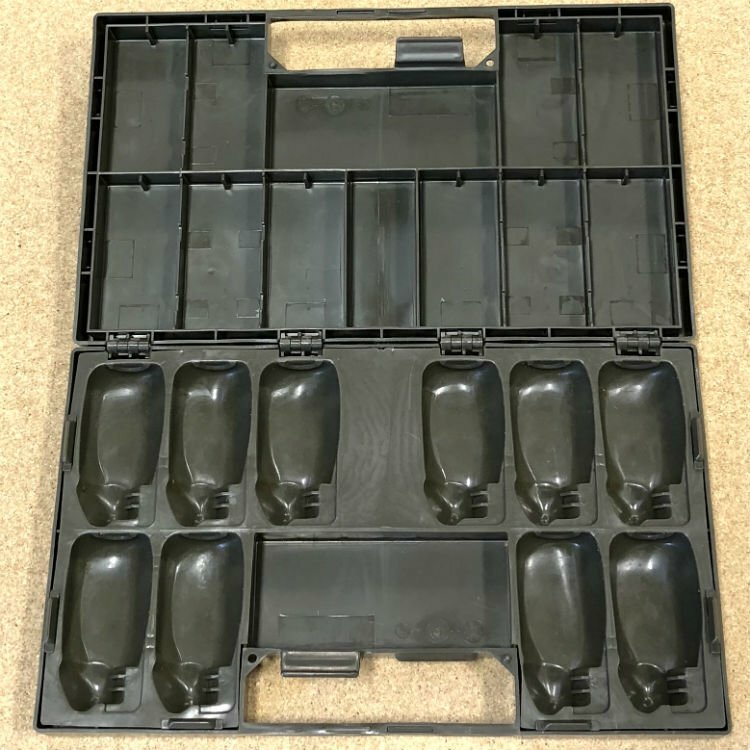 Besides storing grenades these tough cases work perfect for storing HK, MG, AK, Uzi, Walther or any other gun parts. Each case has twelve compartments of varying sizes. Locking Handle provides a sure close every time the lid is shut. Cases are marked as shown in pictures one and two. 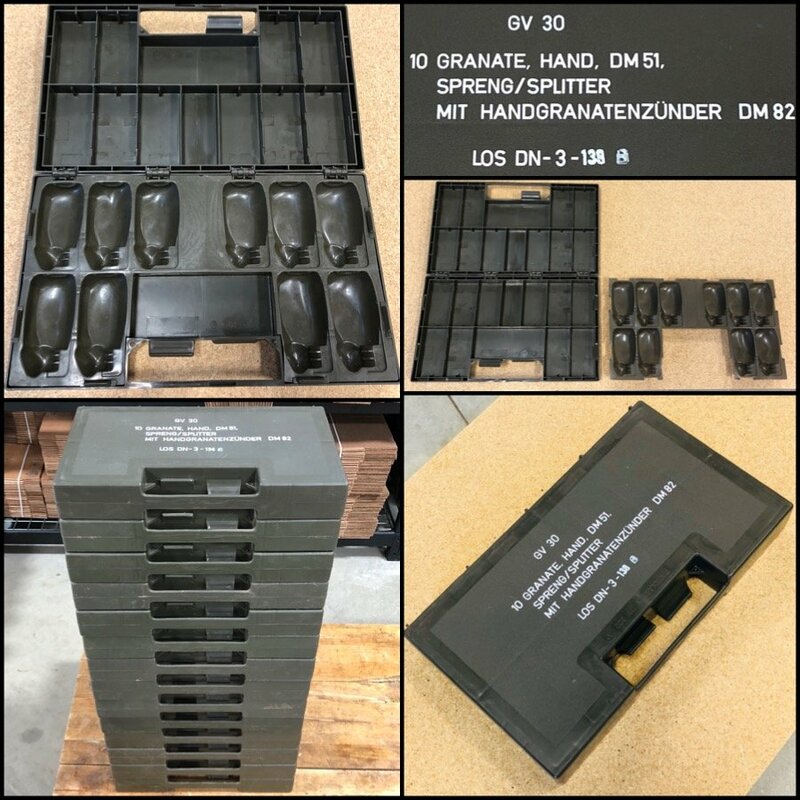 The hand grenade liner shown in picture 5 can be removed easily if storing larger gun parts. 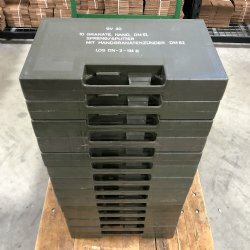 Solid construction for easy stacking and a handle for easy carry. 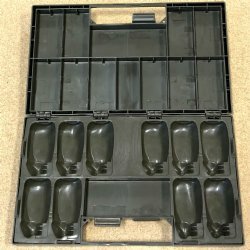 Unlike those overpriced, flimsy Chinese plastic boxes that most shooters keep their parts in; these won't bust open if dropped or mistreated. 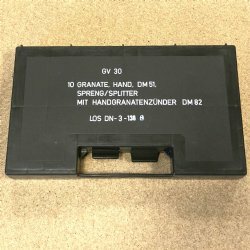 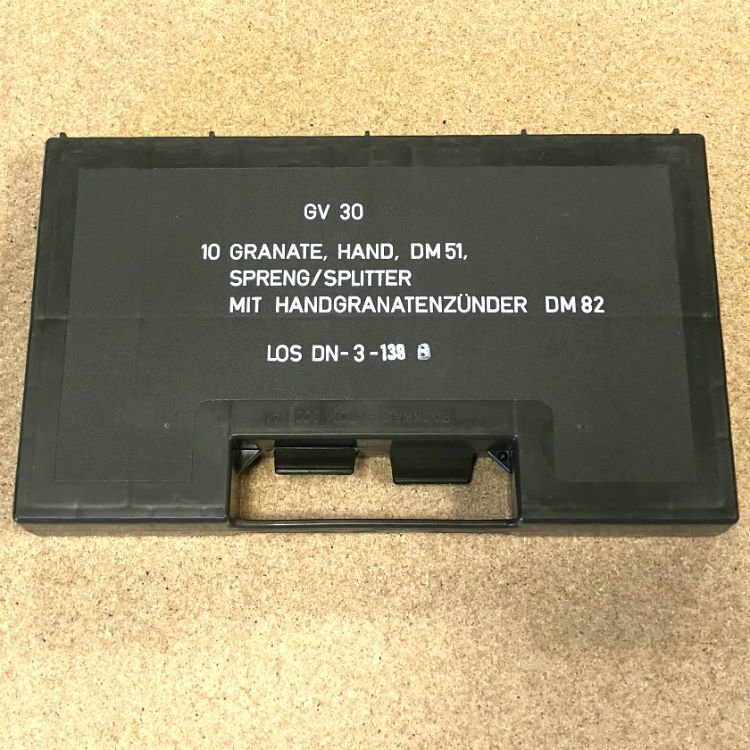 German grenade cases are built to survive the worst hard-use environments. 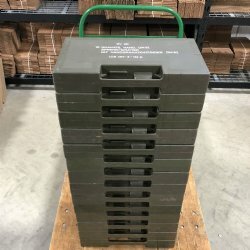 Unless you drive your Panzer over it, I can't imagine one breaking. 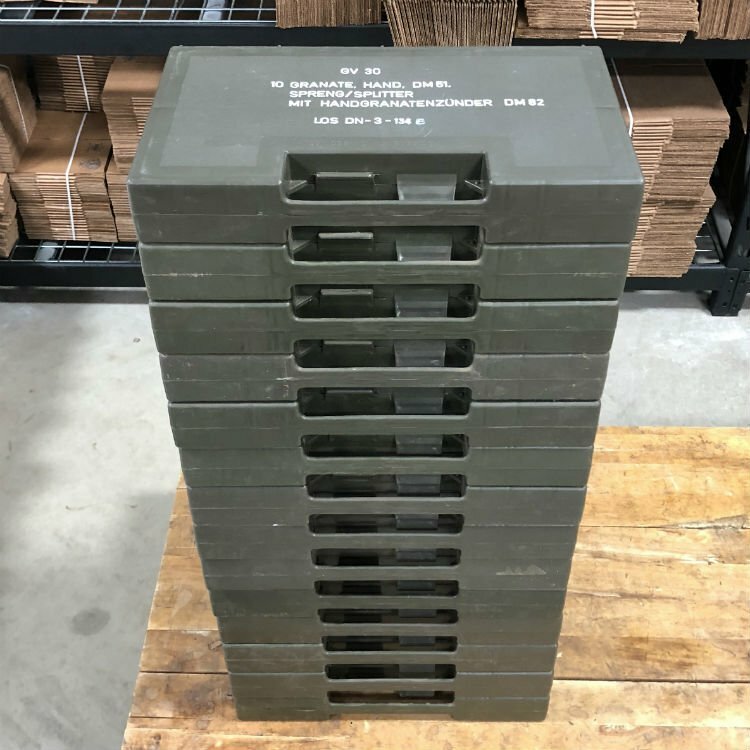 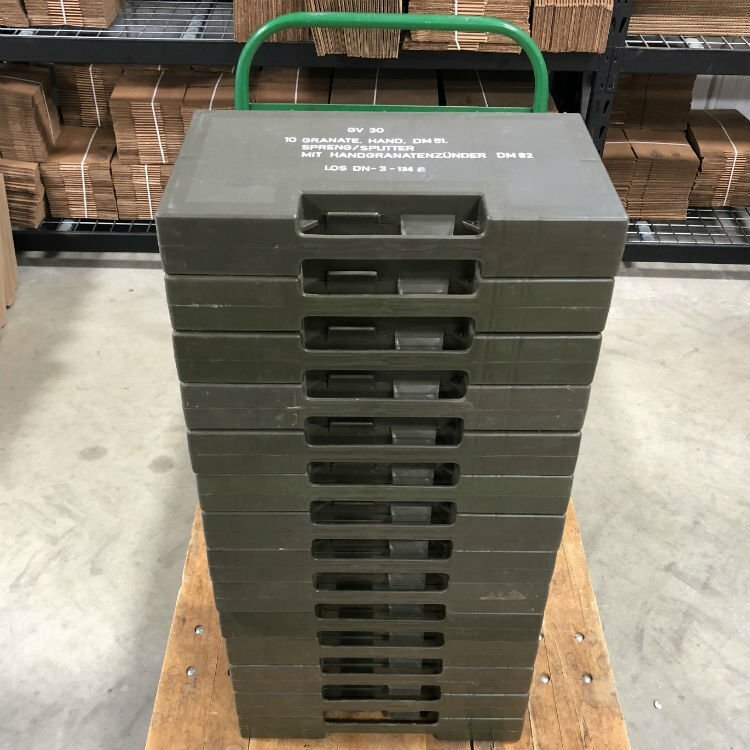 "Work great for 9mm ammo too."